When it comes to nutrition instruction in my work as a chef, my main goal is harm reduction. I hide vegetables in foods, cut my taco beef with black beans, and I’m always looking for ways to make healthier the relatively unhealthy foods people will always eat, and eat a lot of them. One of my personal weaknesses has always been french onion dip, and I know I’m not alone. Last night as part of my super bowl meal I made my own take on the creamy stuff, and served it with crudites instead of chips. Step 3) Saute onion in two tablespoons olive oil until they just start to become translucent. Step 4) Add one tablespoon celery seed, and continue to saute until the onions are golden but not drying up or burning. Let that mixture cool. Step 5) Scoop the yogurt remaining in the coffee filter, into a bowl, discarding the liquid below. Step 6) Stir all ingredients together, enjoy heartily, knowing you aren’t eating crazy preservatives or pounds or artery-clogging dairy fat. 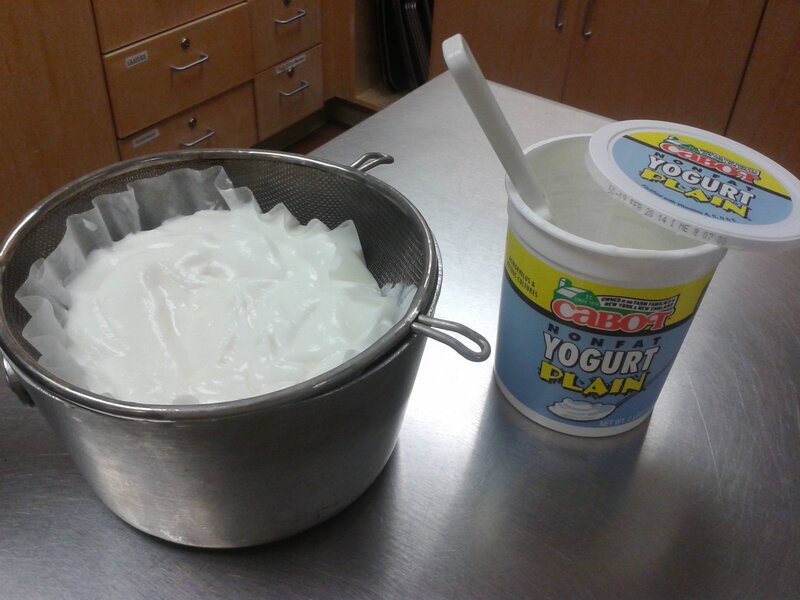 This entry was posted on February 3, 2014 by Chef Jill in Nutrition, Recipes and tagged dip, French Onion Dip, low fat, Onions, super bowl snacks, Yogurt, Yogurt Cheese.